Google has officially announced first UPI-enabled digital payments app Tez in India. 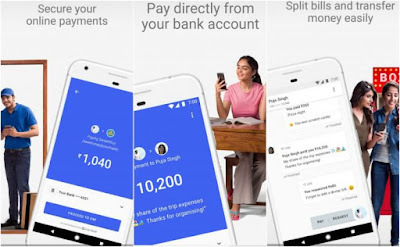 Google Tez will be helpful for the customers to go for digital payments with ease. This year we had come up with many UPI app for the payment solutions like PayTM, BHIM app, PhonePe along with different banks apps in India. Google Tez acts like a medium as it facilitate's bank transactions among the sender and receiver of payments. Language Selection :- Users can select local languages like Hindi, Bengali, Gujarati, Kannada, Marathi, Tamil, and Telugu. Users can sign up with the Google Account signed into the phone or you can choose a different account. 1. 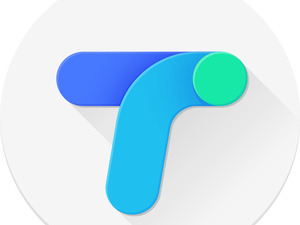 Google Tez app on Android - File Size 8MB to download (Post Installation it is of 20MB). On iOS it is of 54.6MB. 2. Language Selection :- Users can select local languages like Hindi, Bengali, Gujarati, Kannada, Marathi, Tamil, and Telugu. 4. Users can sign up with the Google Account signed into the phone or you can choose a different account. 5. Verify Account with an SMS OTP ( Set a Google PIN or Screen Lock on the Mobile). 7. Google Tez also creates VPA using the name in your email ID. 8. 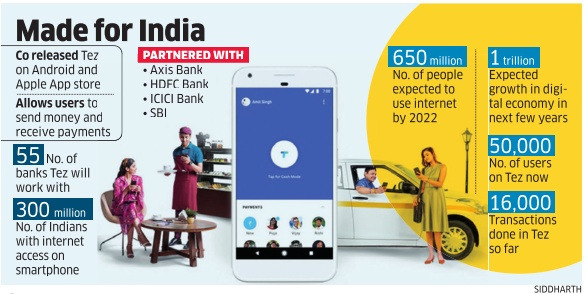 Users of Tez can add recipients using their bank account numbers and IFSC codes to transfer money, or send money via a UPI ID, QR code, or phone number. Google is offering Rs. 51 for their users when they refer this app to their friends or other users. Post the new user who had been refered and makes their first payment both the users will get the referal earnings credited to their bank accounts. Users can earn referal money when they transfer Rs. 50 and above. Both the sender and recipient will get via Google Tez Scratch Cards, with one scratch card per week for the sender-recipient pair. Scratch card gives user the chance to earn up to Rs. 1,000, which is transferred back to the respective bank account. You can earn a maximum of 10 rewards per week, up to a total of Rs. 9,000 per financial year. Red Scratch Card :- Lucky Sunday's card is given to the sender once per week (This is locked until every Sunday). Google Tez Scratch Card will let users to get a chance to win up to Rs. 1 Lakh as per Google. Superb app very simple to use,well done Google. Amazing secure and simple app I had ever seen. referal money not credited in my account tiil now after first trasaction on tez app.